The Europe holiday centre of Amsterdam was featured in Hum Tum with Rani Mukherjee and Saif Ali Khan where the sites of Amsterdam Royal Palace, Aran Pub, Hard Rock Cafe, Museumplein can be seen. The Bollywood song Ladki Kyu features the canals and windmills of Amsterdam. More recently the Bollywood song Hungama Ho Gaya from Queen with Kangna Ranaut was shot in an Amsterdam club called NL and became such a hit, that the club hosted a Bollywood party due to the demand. The first Indian film to be shot in the popular European holiday destination of Bruges, also called the City of Romance, was PK. The Bollywood song Chaar Kadam features some landmarks like the Market Square, Sint-Jorisstraat, the Beguinage, and the canals. All this is available in fantastic Europe Holiday Packages that you can find on Tripshelf.com! 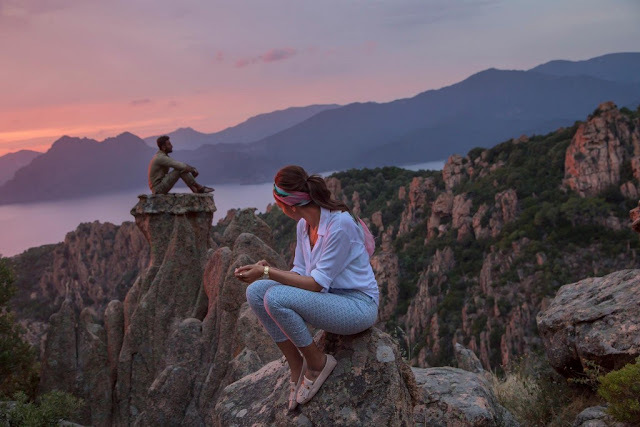 The latest Ranbir- Deepika starrer Tamasha was partly shot in Corsica Island. Previously for Indian audiences, the European holiday destination of France was limited to Paris. But with the exquisite locations and beaches of Corsica featured in the movie, the island has become an instant hit. The ultimate Indian road trip/bachelors movie, shot in various parts of Spain. Despite only one movie being shot here, the impact on Spain as a choice for a Europe holiday since the release of ZNMD has been huge. Many tour companies also organise road trips based on the movie. Locations like Santorini, Mykonos, Athens, Rhodes have been popular choices for many Bollywood movies. Most recently Hrithik-Katrina starrer Bang Bang, and Bollywood song Meherbaan were shot there. Kareena Kapoor Khan famously danced in the freezing waters of Greece for the song Chhaliya Chhaliya. Chalte Chalte features many locations from the European wonder of Greece, as one of the protagonists – Rani Mukherjee’s character Priya is from there. The latter half of this Bollywood love triangle is set in Italy but shot in Budapest, Hungary, which is fine until all the road signs are in Hungarian, and the locals don’t speak Italian – not all of Europe is alike! Despite this, the locations featured in the movie like the Opera House and the Széchenyi Chain Bridge are etched in our memories. 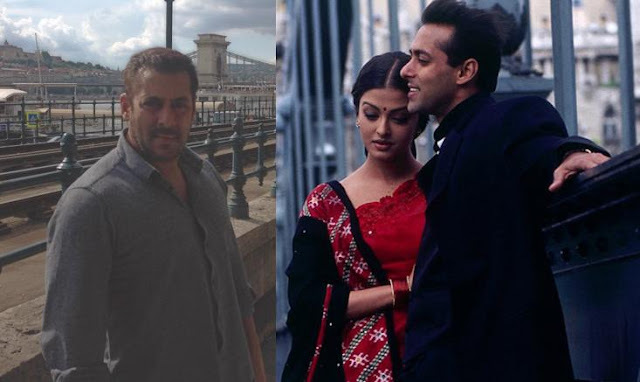 Salman Khan also headed to Budapest to shoot the climax of Sultan and was spotted near the same bridge 17 years later! Innumerable Bollywood songs and movies have been shot in London. Karan Johar admits to London being one of his favourite foreign locations and was recently used for his film Ae Dil Hai Mushkil with Ranbir Kapoor, Anushka Sharma and Aishwarya Rai Bachhan. 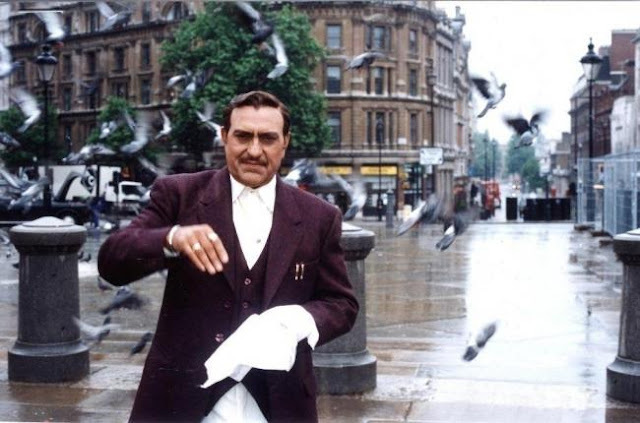 But the most iconic one worth mentioning is DDLJ with scenes from Trafalgar Square, London where Amrish Puri feeds pigeons, Southall London, which is home to Amrish Puri’s convenience store and King’s Cross Railway Station where Shahrukh Khan and Kajol catch their train. Sangam made the use of foreign locations a trend in Bollywood songs. The honeymoon sequence features locations like Paris, Venice, Switzerland. The Eiffel Tower has been a prominent landmark in many films, including An Evening in Paris (1967) and Vikas Bahl’s coming of age drama, Queen. Despite the terror attacks, Paris, with its history and culture, is a thriving Europe holiday destination and a Bollywood song destination! The central European capital city of Prague with its tiny cobblestone paths, modern buildings and gothic architecture was featured in the Bollywood movie Rockstar, and many sites like the Prague Castle, Sychrov Castle and Charles Bridge visble in the Bollywood song Hawa Hawa, became quite popular Europe holiday destinations. Yash Chopra single-handedly put Switzerland on the map as a European holiday destination by shooting many iconic Bollywood songs in various locations around the picturesque country. The lake Alpenrausch was one of the few locations of the shoot for Chandni. If you didn’t know, Yash Chopra shot so many movies near that lake that the lake has been christened as Chopra Lake. Gstaad and Jungfraujoch have been featured in DDLJ, Bachna Ae Haseeno. There is even a Bollywood restaurant in Jungfrau! Can't wait to get Bollywood songs out of your system? Europe Group Tours will show you the way! Travelling alone, especially to a foreign country, can be pretty scary. But London, with world-class facilities, years of history and variety of options for all types of girls is a great starting point to get you comfortable with solo travel or even help you decide if it’s your cup of tea. 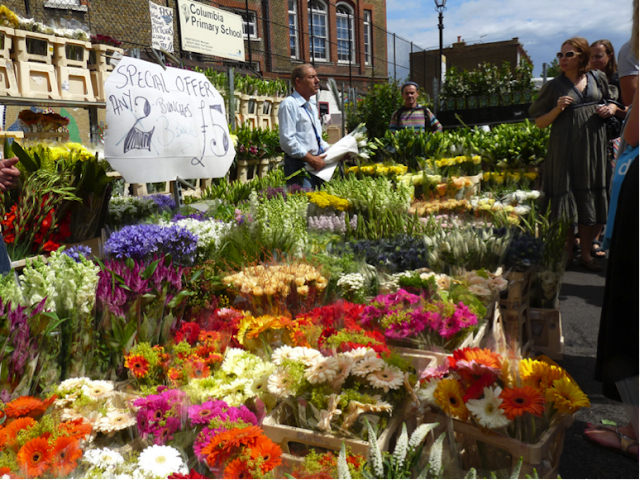 London for Solo Women Travellers! Yes, travelling abroad can be scary, but wouldn’t it be worse to be somewhere you can’t read the signs or ask anyone for help? 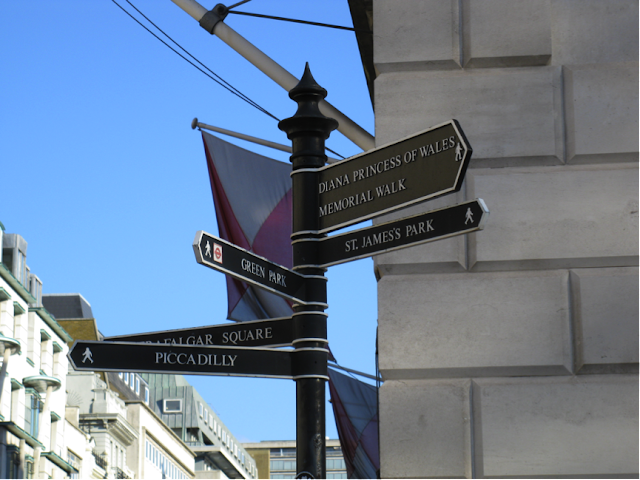 London is very well organised and navigation is pretty easy. Even if you’re lost, most people are kind enough to help on the streets. 2. 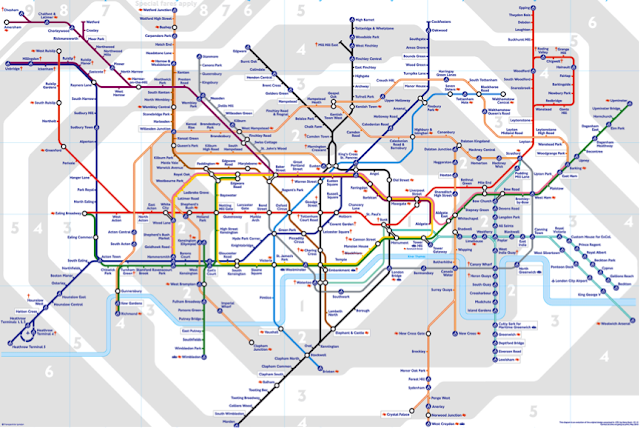 De-cluttered public transport system - This is one map you will understand! London is divided into zones, and you can get an Underground Map at any airport or train station to help you decipher this. 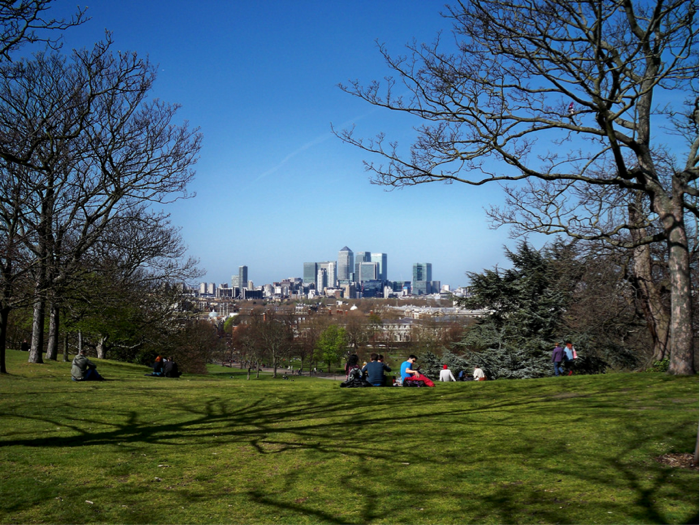 An Oyster Card to use tube, train or bus transport will get you around the city. There are lots of 24-hour buses, and now plenty of night tubes over the weekend so whatever time of night or day, you can safely get home. Coming from India where you need to haggle for autos, depend on their sense of direction to take you somewhere, worry about travelling at night or always struggle for ‘chhutta’, this standardised cashless system is well organised and highly convenient. Tip: Citymapper will be your best friend, helping you decide the best route based on journey time and cost. 3. Museums about fashion! Free! 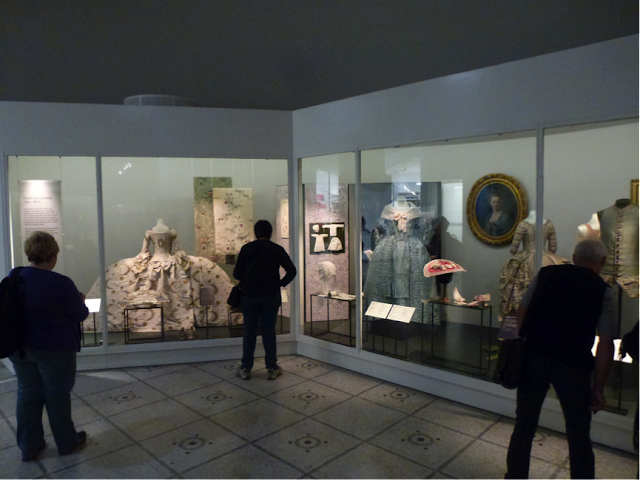 There is a museum for any and every interest in London, including fashion. And most are free! As a solo traveller, you can choose the destination and duration without any guilt. The Victoria & Albert Museum’s fashion collection spans five centuries, and the recently re-opened Design Museum focuses on the ever-evolving subject of contemporary fashion, art and design. Most museums ask for a small donation to help keep them free so you can always leave at least a pound or two. One of the best places to window shop, without a companion complaining of weary legs. Oxford Street and its surrounding areas have all the brands you can think of. Walk around, walk in, hang out – it’s up to you. 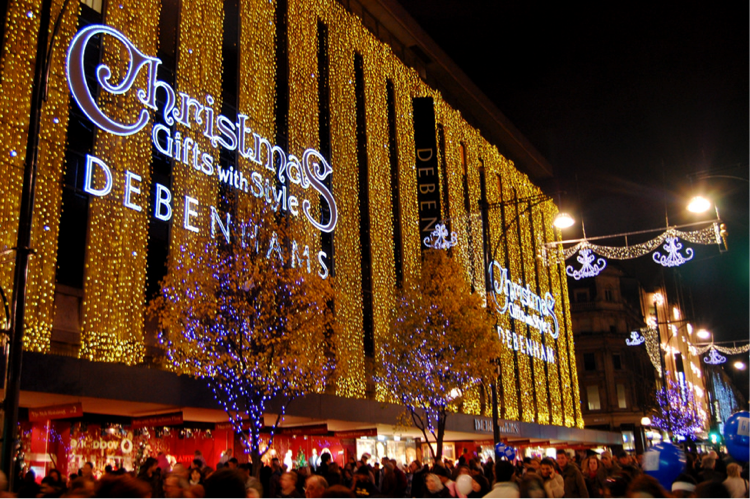 If you happen to be in London post-November, the high street is definitely worth a visit for all the Christmas lights that will be up. What can be more British than tea and scones? Chill like the Queen and splurge on some great afternoon tea. Looking for something traditional? Try Fortnum and Mason – an institution! Looking for something quirky? 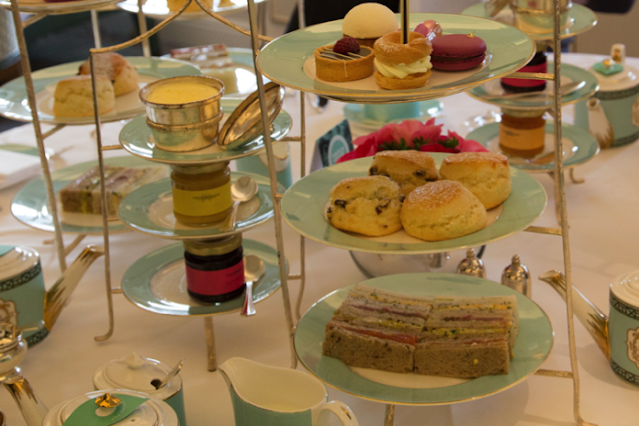 Try the Mad Hatter’s Afternoon Tea. London has one of the most green spaces in a world capital – if you’re lucky enough to find a sunny day, run to your nearest park with some sunglasses and a good book and relax. Carry some sandwiches and drinks and spend some quality time with yourself amidst nature. As an added bonus, enjoy all the dogs that will also be out to play. Travelling to Europe? These are some amazing holiday packages to Europe on Tripshelf! 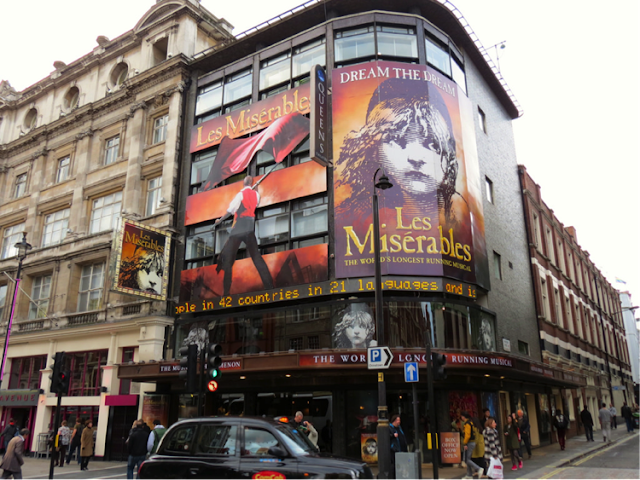 One of the world centres for theatre, it would be a shame to not watch a show while in the city. Tickets go on sale months in advance but the TKTS stall in Leicester Square is a great place for half-price tickets for same day shows. Head there in the morning and pick a show that sounds interesting, or ask the staff for advice and you will not be disappointed. Travelling alone means you can pick a show of your liking, including guilty pleasures like musicals. 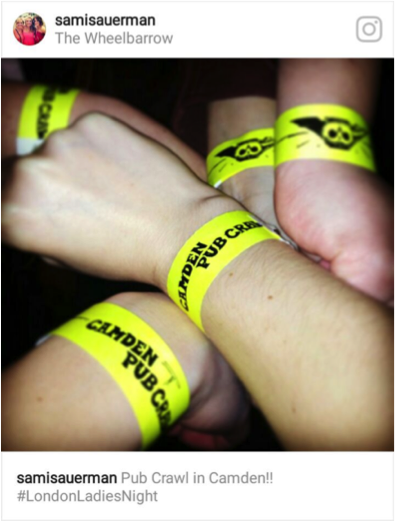 Alternatively, also catch something off-beat at a pub theatre or a fringe venue for an experience different from the West End – Old Red Lion, Theatre 503, Camden People’s Theatre. 8. EVERY night is Ladies Night! There is a pub around every corner, more frequent than a tube station. Treat yourself to a pint, don’t be afraid to walk into an old looking pub or a cocktail bar at any time of day. There are many places with ladies nights and happy hours. It’s also a great way to meet people. Any Wetherspoons is a great starting point pub – with standardised menus and cheap prices; or try a pub-crawl if you’re feeling more adventurous – you are certain to make some friends, and memories! Portobello for its antiques, Borough for its great food, Columbia Road for the flowers, Brick Lane, Brixton, Camden – browse, grab a bite, pickup some artisan coffee, shop at your own pace. Tip: Avoid any place that ends with “Market” on a Saturday, unless you want to brave the crowds. Food in London can be a challenge. With so many tourists always in the city, there are many average taste-high price restaurants that leave you wanting more. 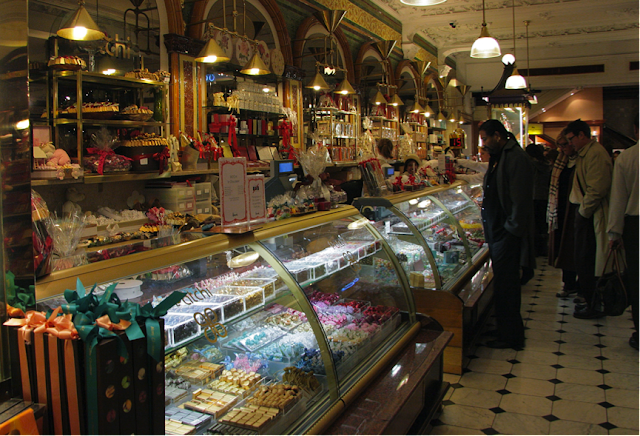 But with a bit of research, you will discover the depth of flavour waiting to be explored in the city. Chinatown for a pre-theatre treat, Brick Lane for something close to home, Soho for something more upscale. Follow Jay Rayner from the Guardian for the best food recommendations and you will not be disappointed. London has a lot of solo female travellers, so don’t worry about eating out alone, there are many of us! Carry a book or magazine if you would like, order what you like without needing to share. Take a National Express bus or book a return train ticket on TrainLine to neighbouring cities and towns – easy peasy! 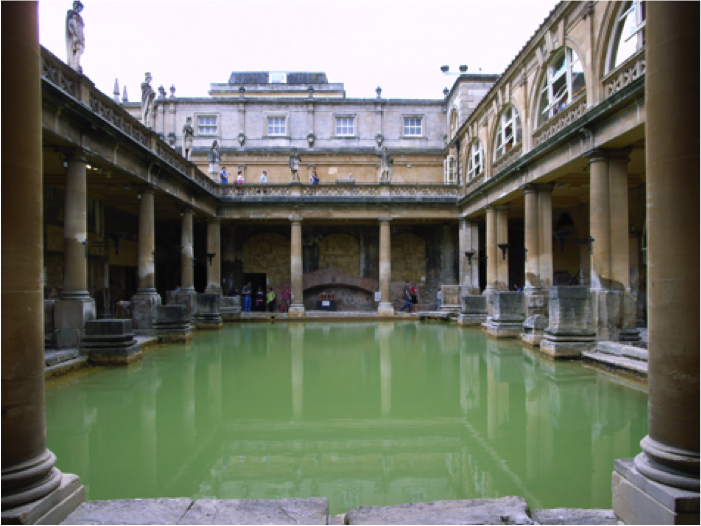 Explore the remains of one of the greatest spas of the ancient world, bathe in the rooftop pool at Thermae Bath Spa, follow in the footsteps of Jane Austen or visit the fashion museum. Bath is the perfect city for a girl’s day out. And there are other options aplenty. Travelling to Europe? Here are some amazing holiday packages to Europe that will help you experience what the beauty of this ancient continent really is! Happy Hippie place of the mountains, Kasol doesn't need description for its breathtaking views and scenery. Strolls along the graffiti laden walls, get lost in the wilderness of Shiva's own place. Can't wait to experience the cold running water of Parvati River? Click here to know more! Where India meets Tibet, amongst the mix of monks, nuns, travellers and volunteers. Set in the backdrop of Dhauladhar mountains, go and enjoy the spiritual and alternative vibes combined with the joy of traditional tibetan delicacies. Click here to know more if you can't wait to explore your adventurous side.. Situated in the beautiful Beas valley, Manali is an all year go to place. It offers everyone a piece of their preference, from mountain adventures to bagpacking, from rafting and skiing to family holidays experiencing snow at Rohtang Pass. Ready for some family time in the hills? Click here to know more about this trip! Sandwiched between Kinnaur and Mussoorie, Chakrata offers the perfect vantage point for mountain lovers if they want to witness the Himalayas, or seek adventurous activities. At the bottom of it lies a journey not towards nature, but within yourself to aim, conquer and achieve. ✦ Trip operated and sold by verified tour operators selling via Tripshelf.com, India's first holidays marketplace.